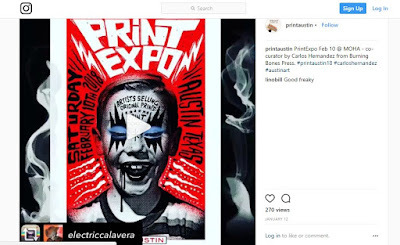 Is showing in El Paso from March 5th - April 10th, 2018. 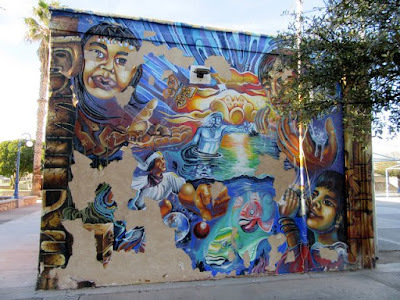 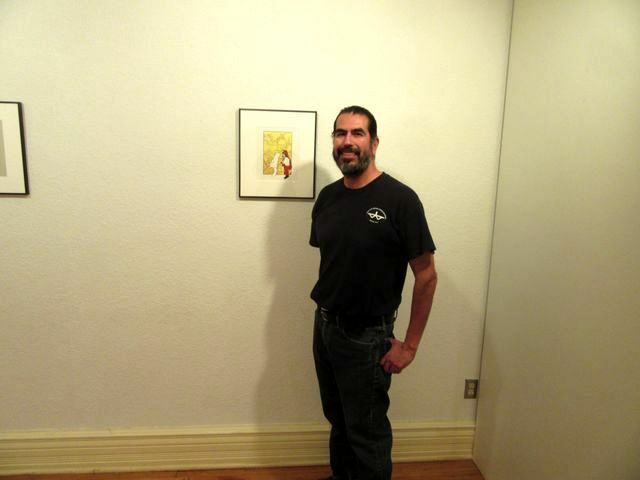 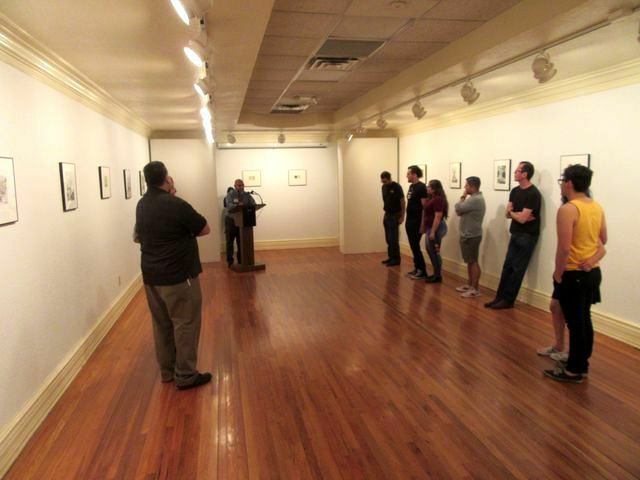 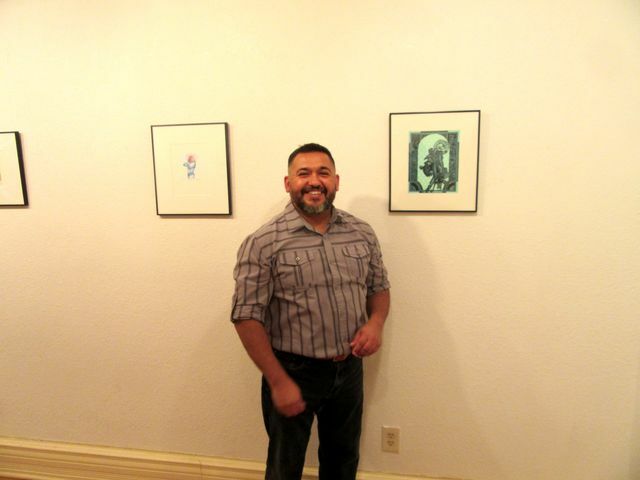 At "La Galeria de la Mision de Senecu," 8455 Alameda Ave, El Paso. 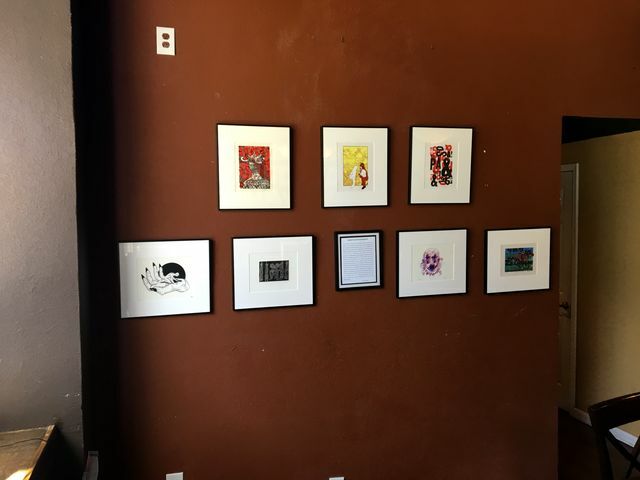 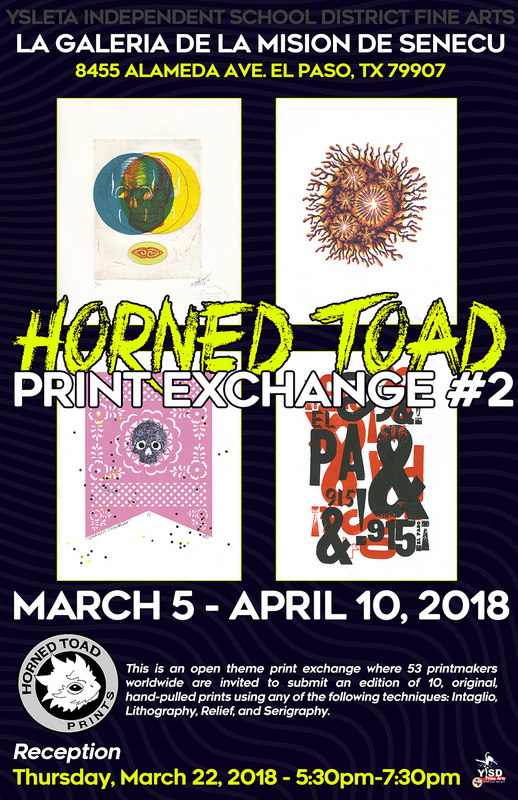 This Horned Toad Print Exchange II exhibition follows the one in Oaxaca, in October 2017. 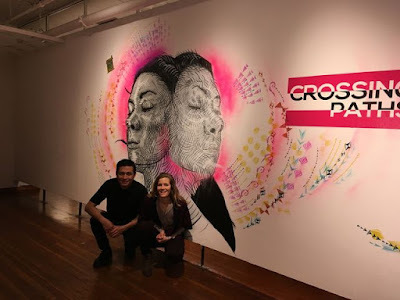 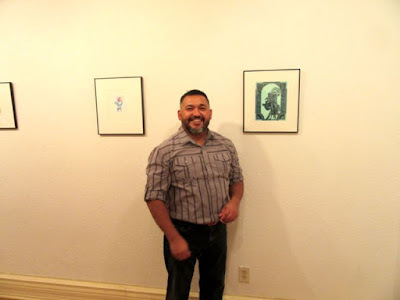 We had a great opening at Mexic-Arte Museum in Austin on January 26, 2018!!! 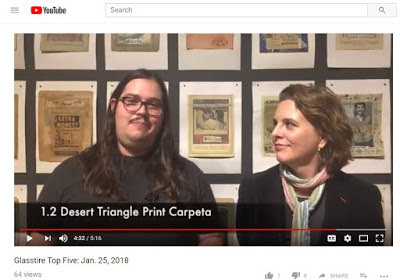 It was good to take the Desert Triangle out of Mountain Time. We also participated in PRINT AUSTIN 2018, and enjoyed the other print exhibits! 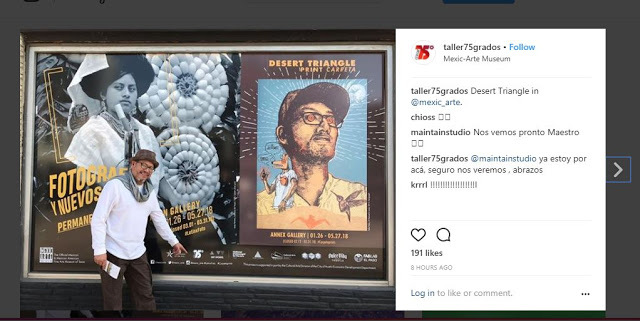 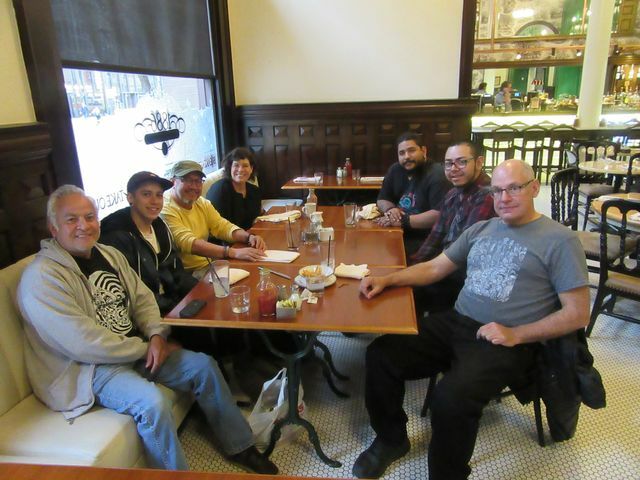 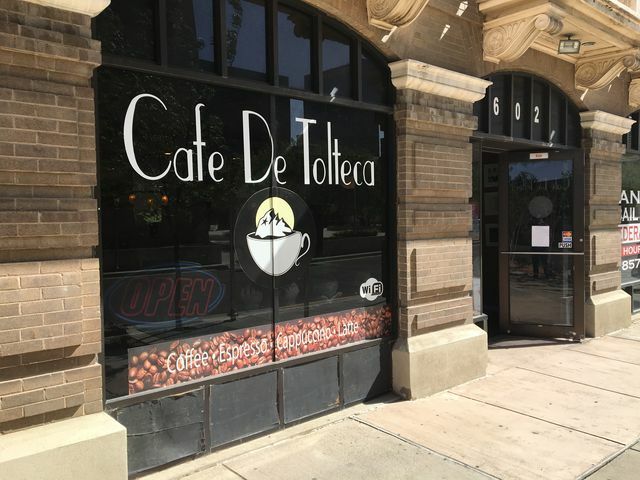 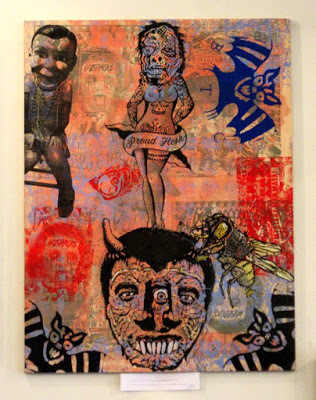 Many Desert Triangle artists attended the opening: Francisco Delgado, Los Dos, Jellyfish, Henry Morales, Tanya Rich, Krrrl, and David Figueroa who did all the augmented reality enhancements. 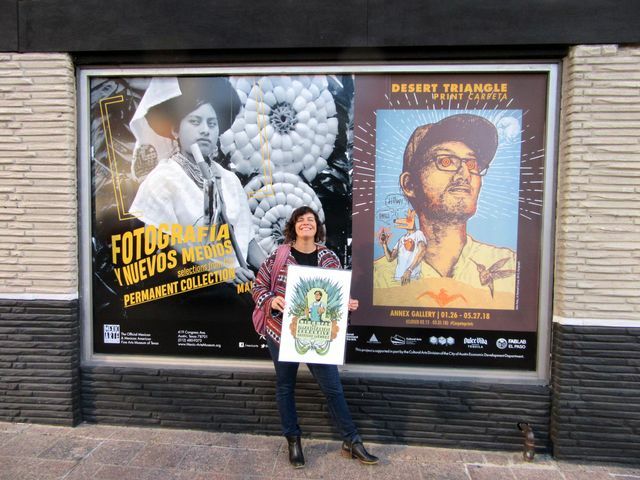 Also Arturo Negrete of Taller 75 Grados in Mexico City; his studio produced a 3rd of the Desert Triangle prints. 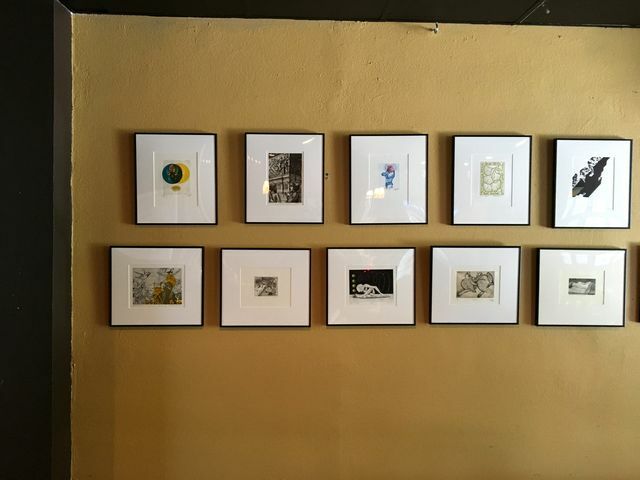 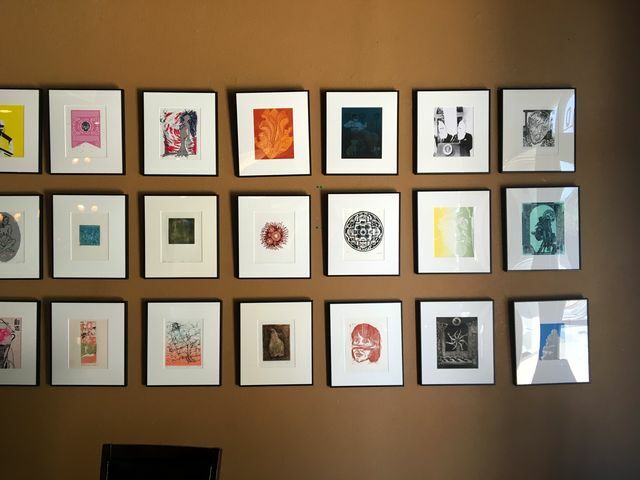 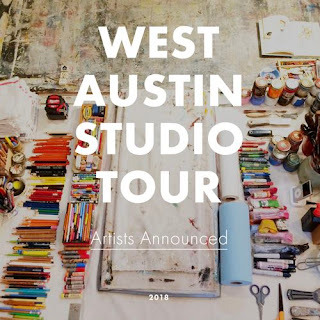 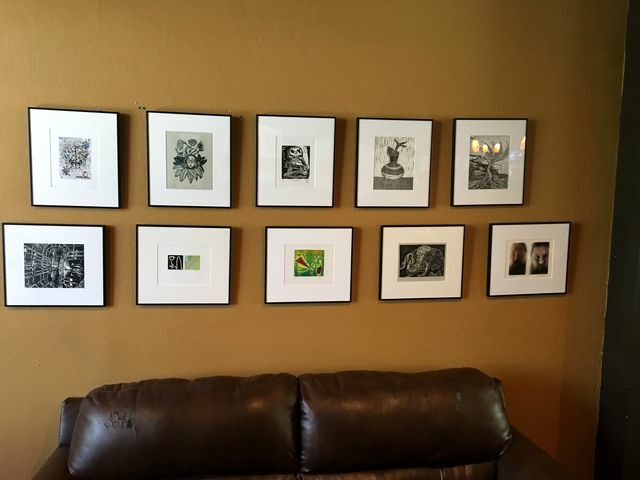 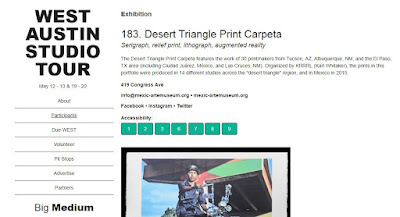 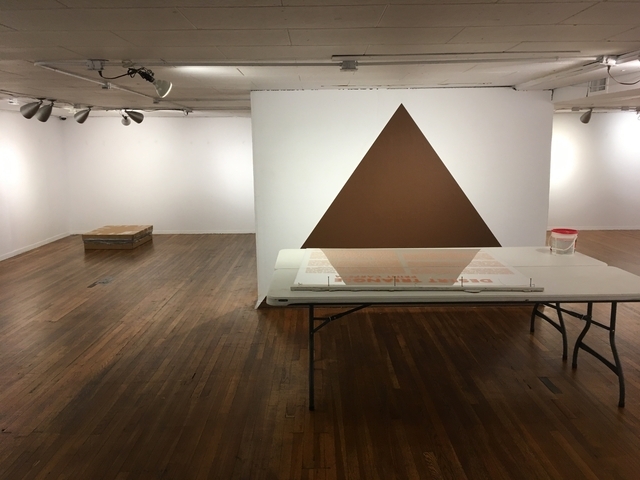 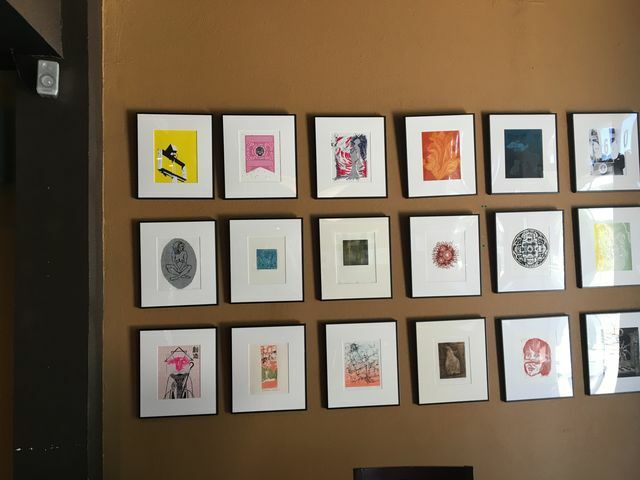 "IMPRINT TWO 2018: National Biennial Print Invitational Exhibition,"
The Desert Triangle Print Carpeta exhibition at Mexic-Arte, is listed in the West Austin Studio Tour, May 12 -13, and 19 -20. 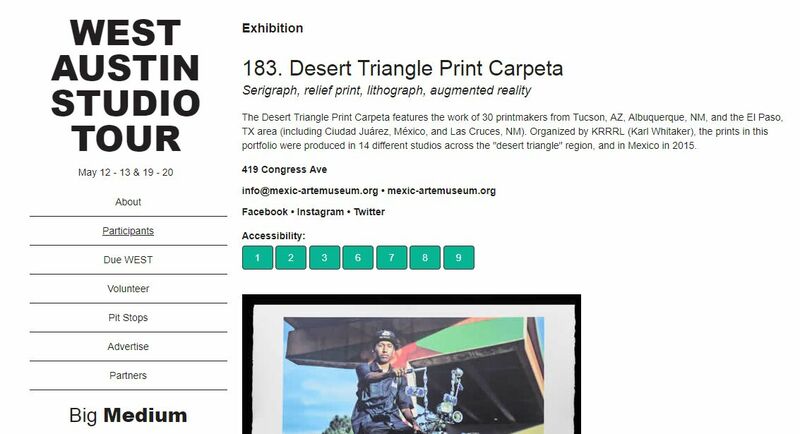 Our exhibition should be listed in their physical catalog too. 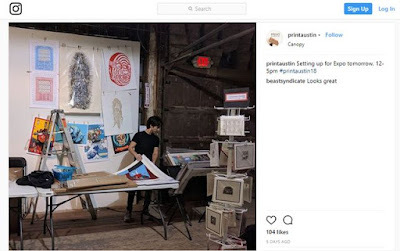 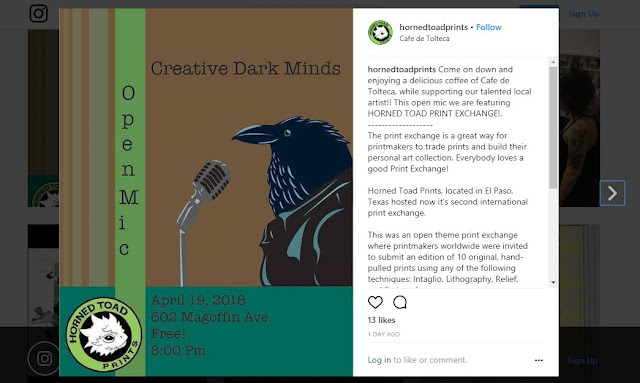 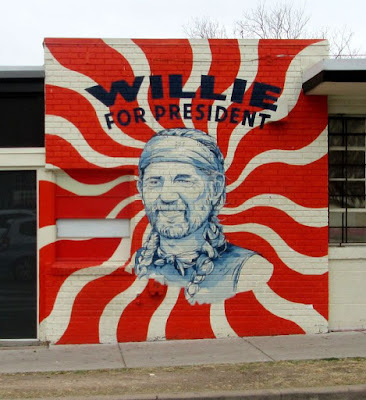 THE Magazine of Santa Fe did an article about the art scene in Austin, in the April 2018 issue. 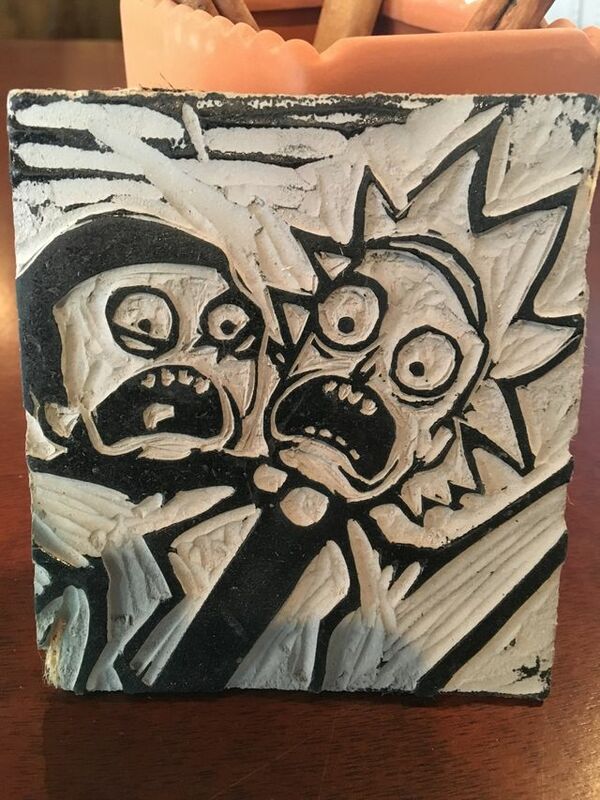 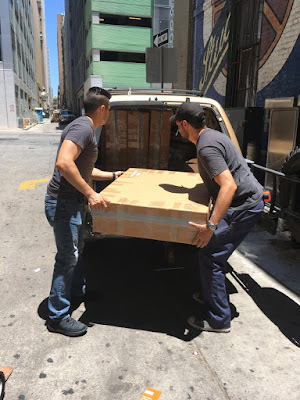 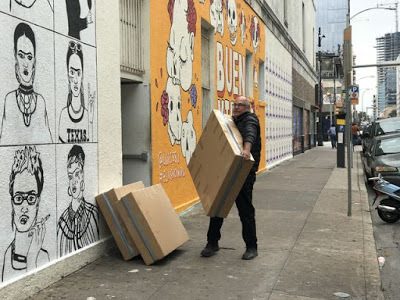 UPDATE: Tanya retrieved the prints from Mexic-Arte Museum on May 30th, 2018. 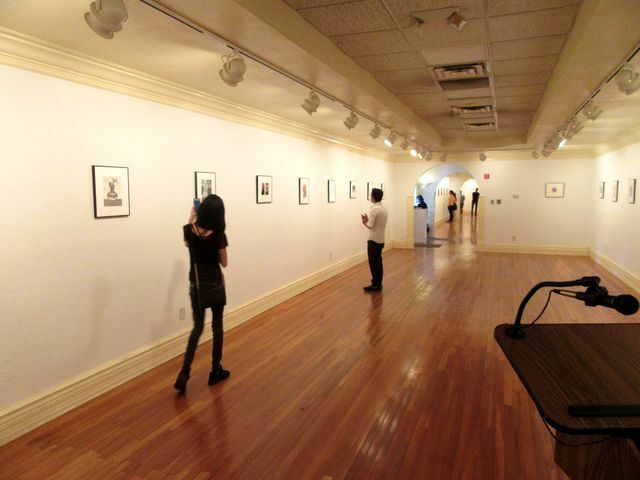 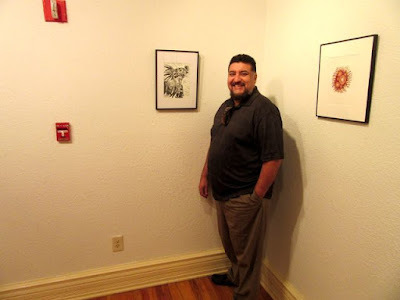 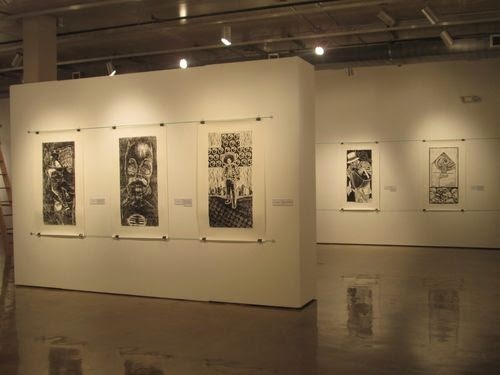 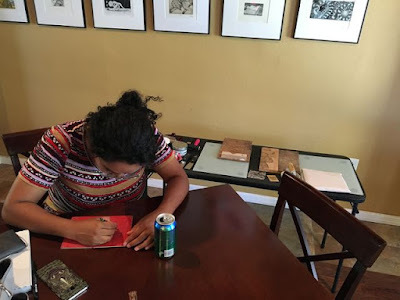 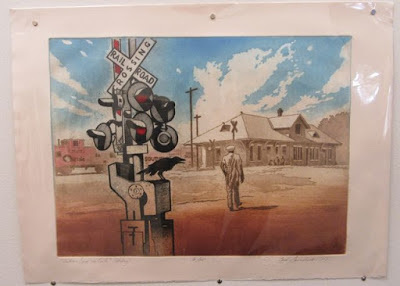 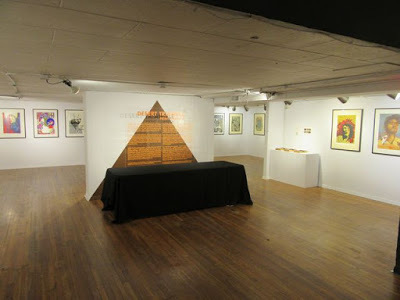 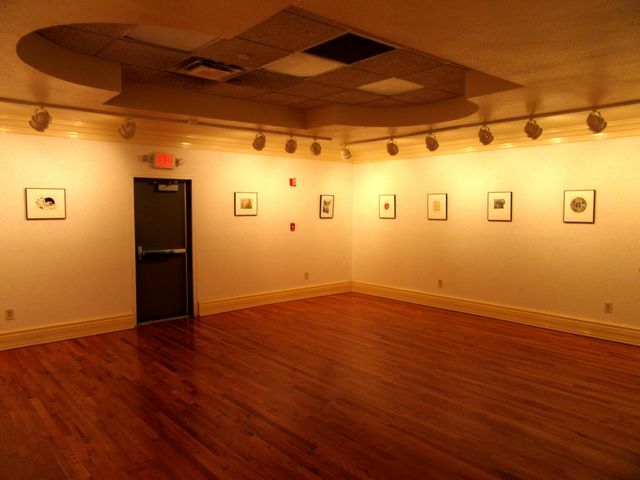 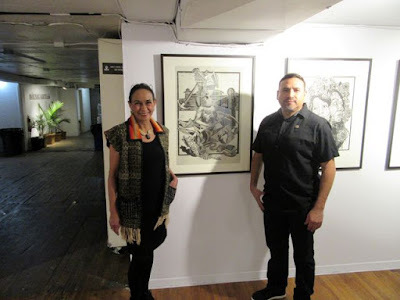 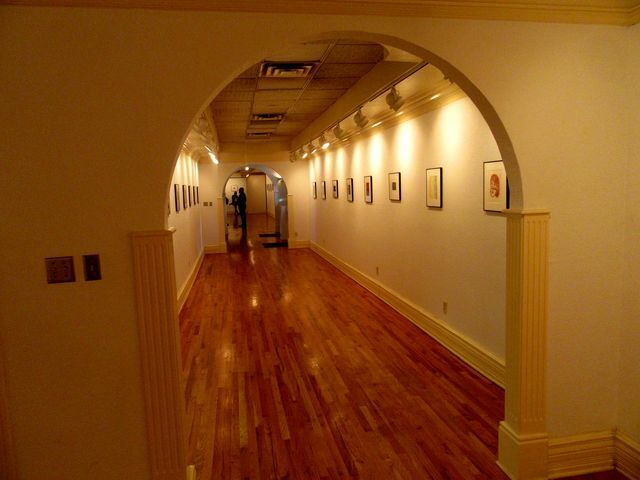 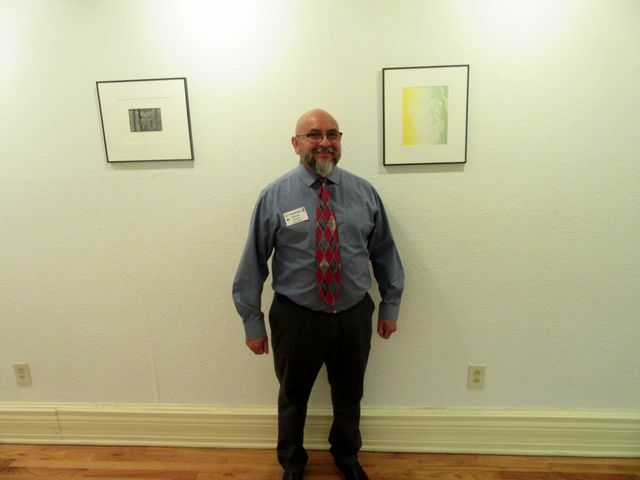 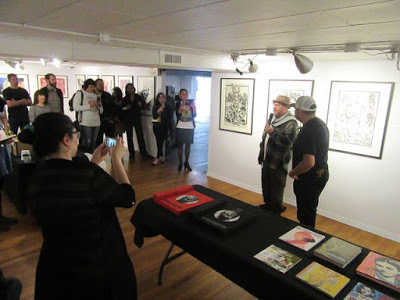 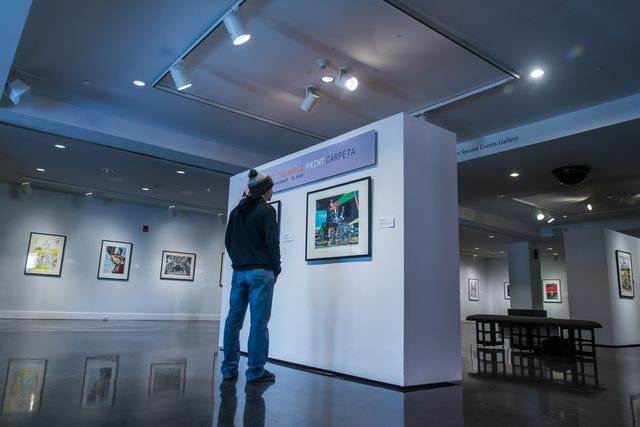 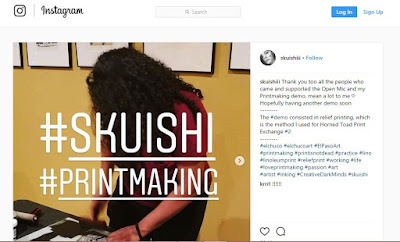 We are very grateful that they exhibited our prints, and thank director Sylvia Orozco, curator Rebecca Gomez and the whole crew very much. Everything went so smoothly. 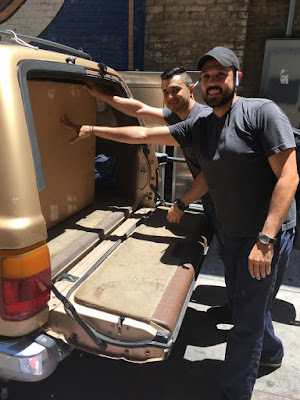 Next stop -- Riverside, California and Miami! 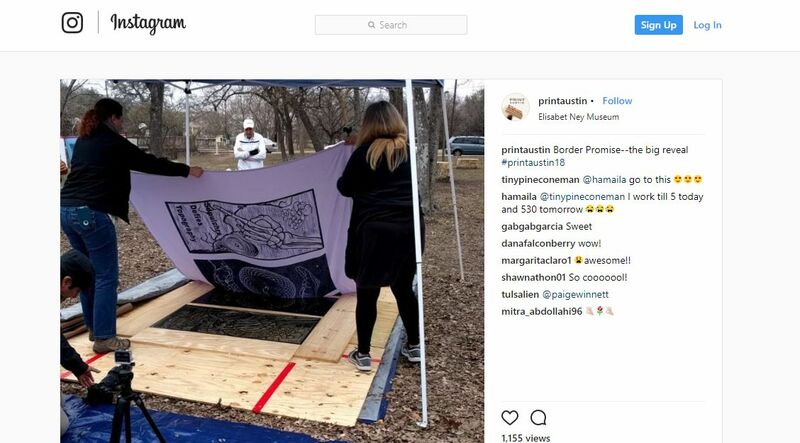 The sequel to the "Road Goes on Forever,"
BorderǀPromise -- a PRINT AUSTIN event at the Elisabet Ney Museum, February 3rd and 4th, 2018.
all of "Art to the Third Power"
The Desert Triangle Print Carpeta was conceived during the Chalk the Block 2014 arts festival. 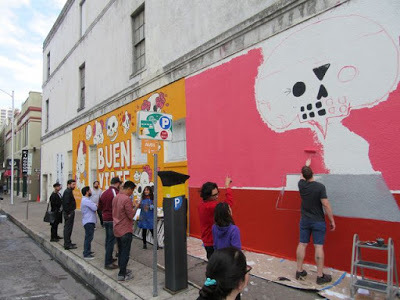 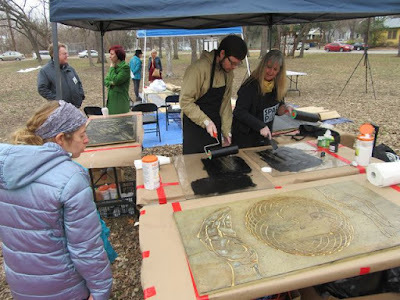 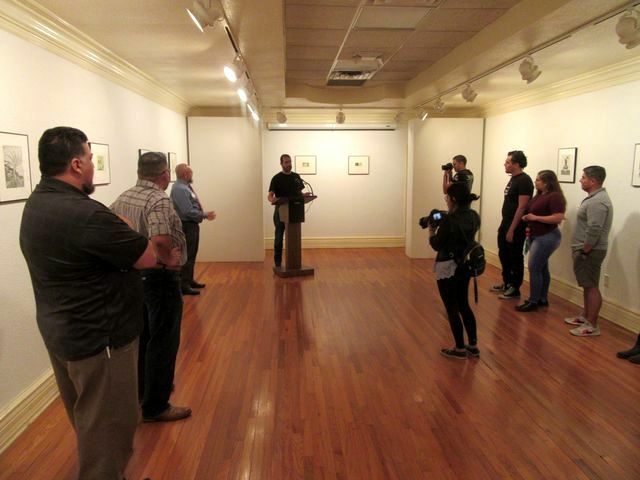 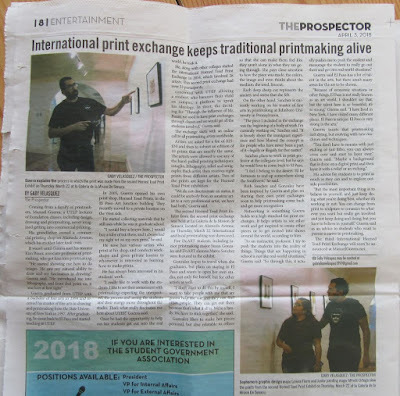 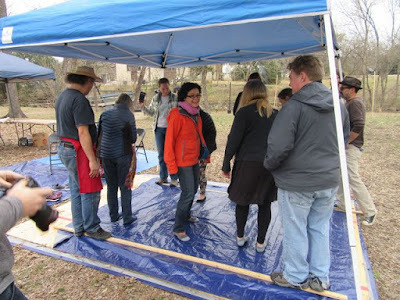 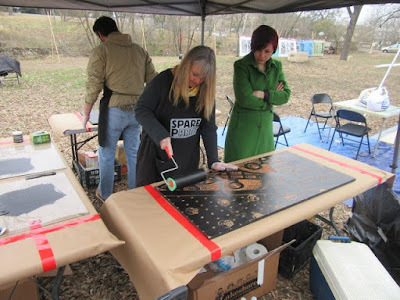 During that event, some of the El Paso printmakers in the Desert Triangle, participated in the steamroller printing event with Luis Valderas and Kim Bishop. 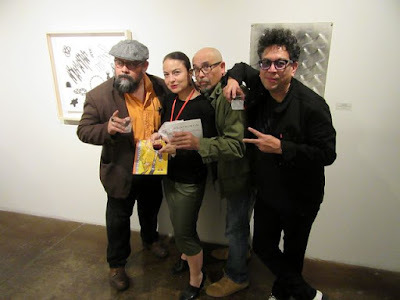 So we find it very poetic to meet them again during PRINT AUSTIN 2018, going full circle, almost 4 years later. 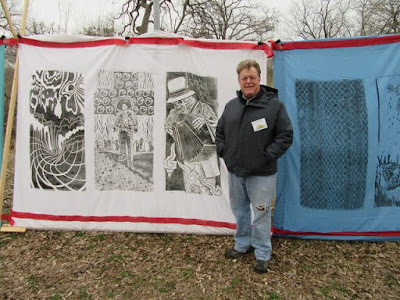 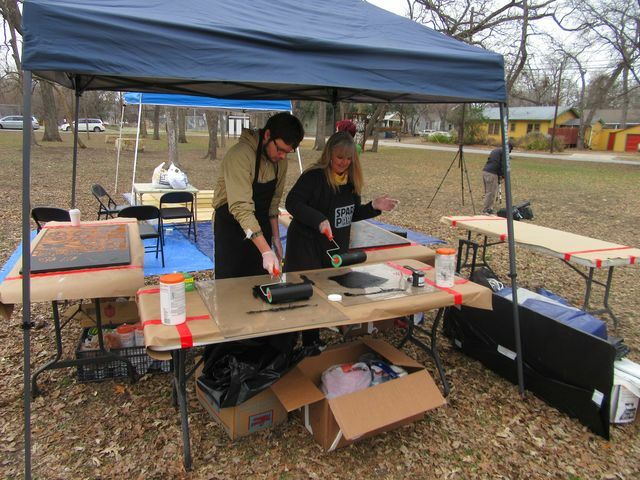 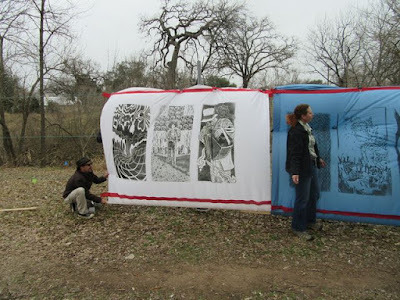 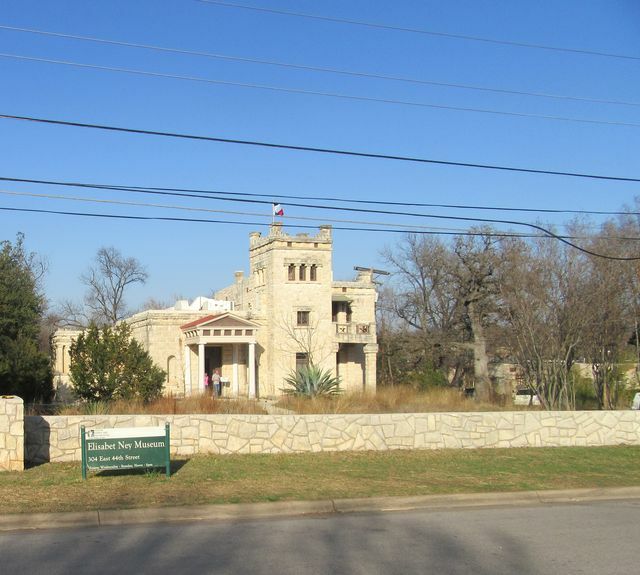 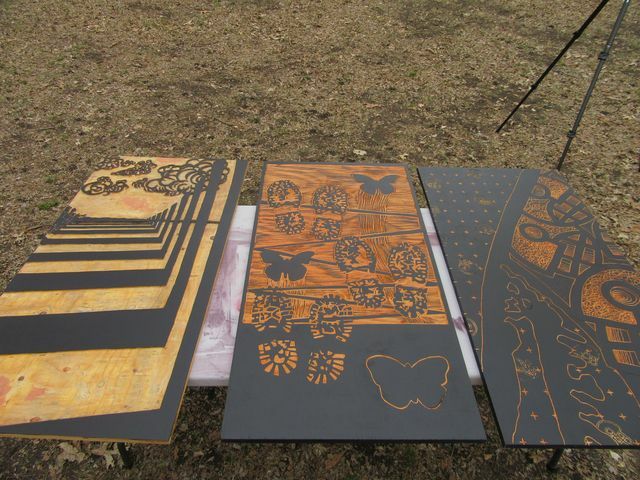 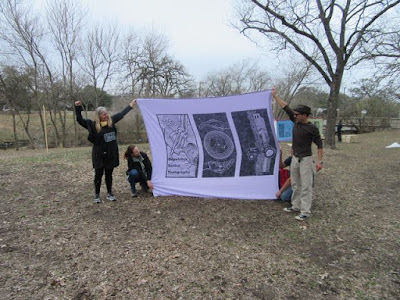 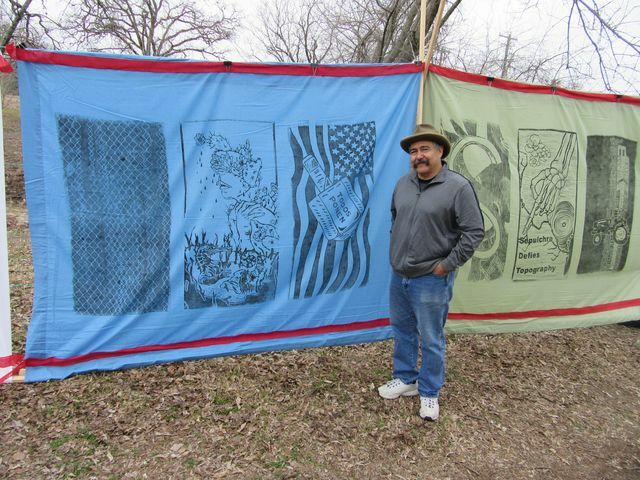 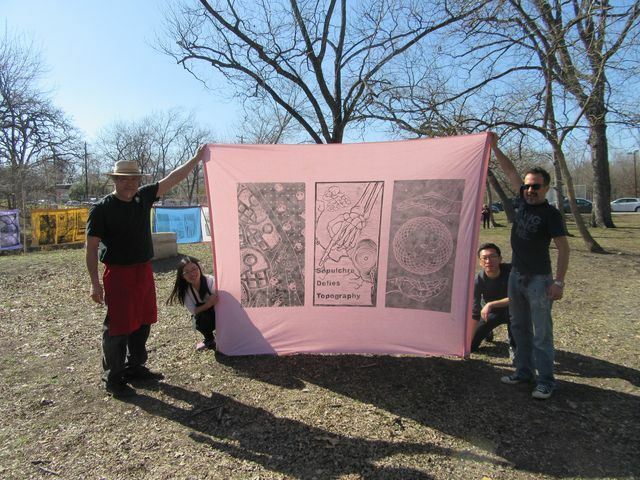 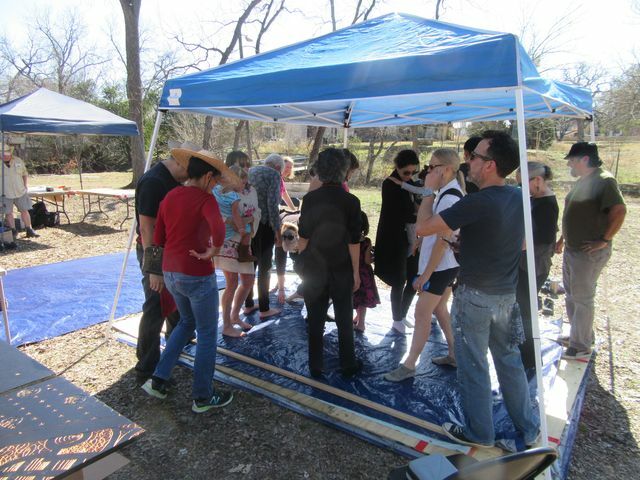 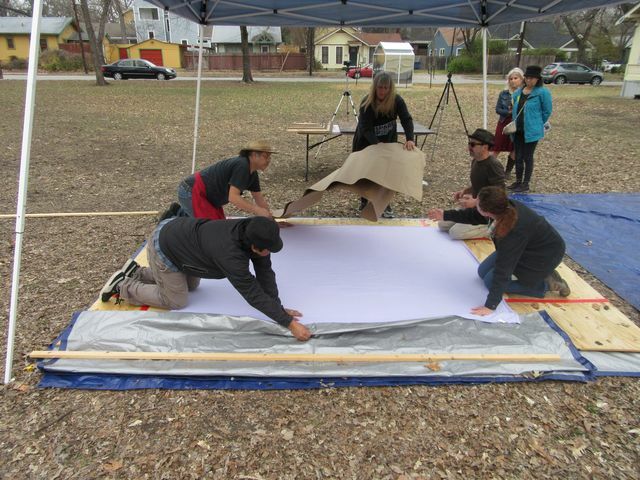 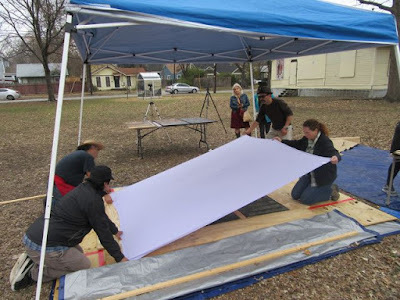 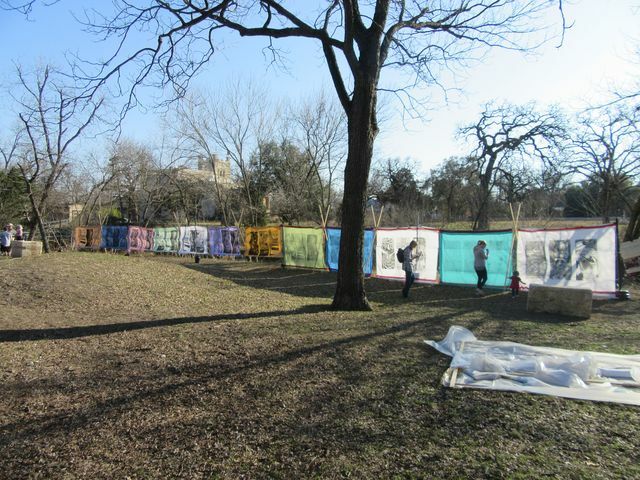 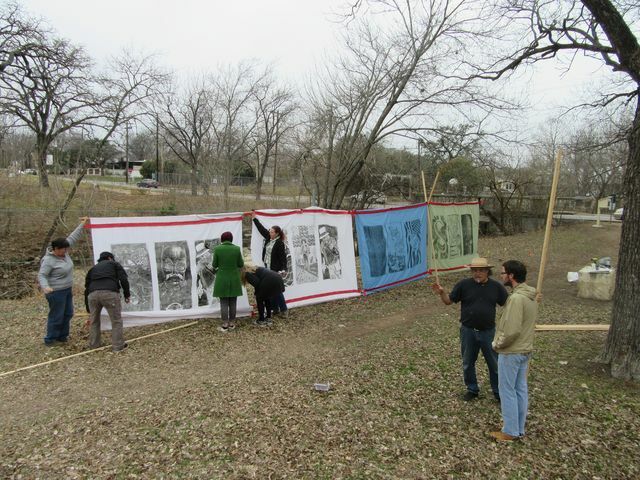 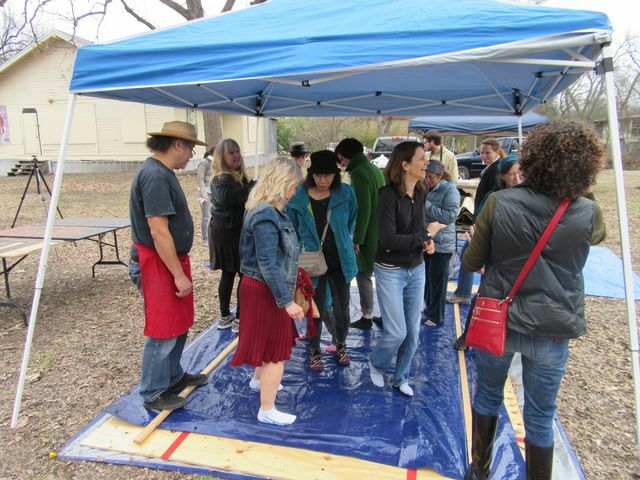 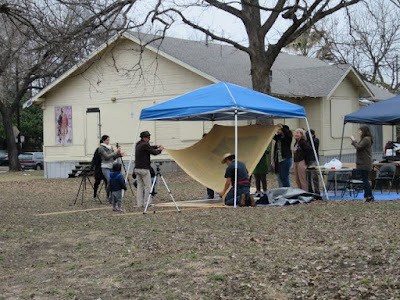 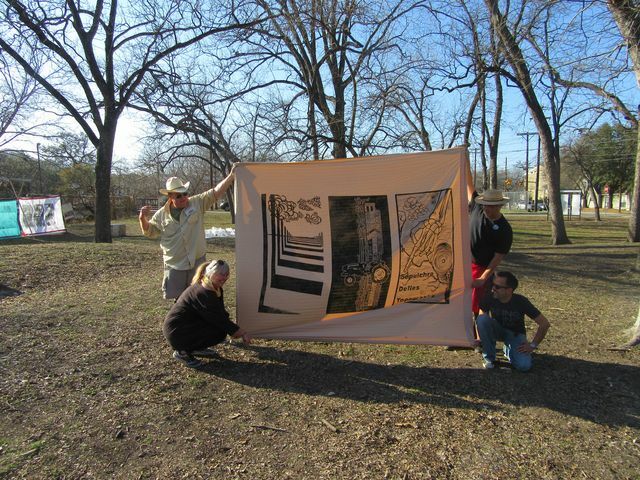 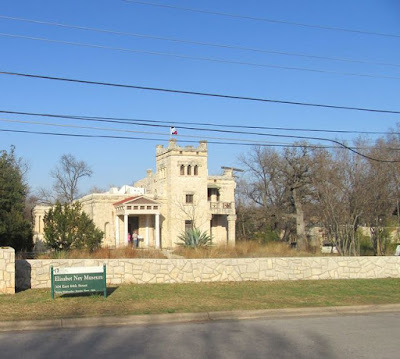 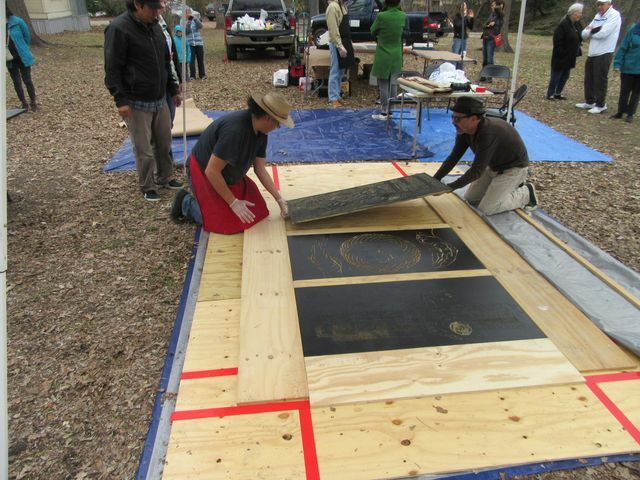 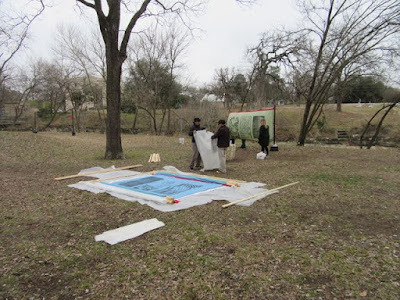 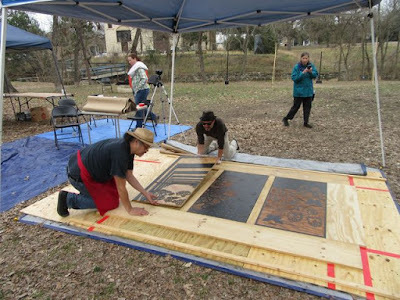 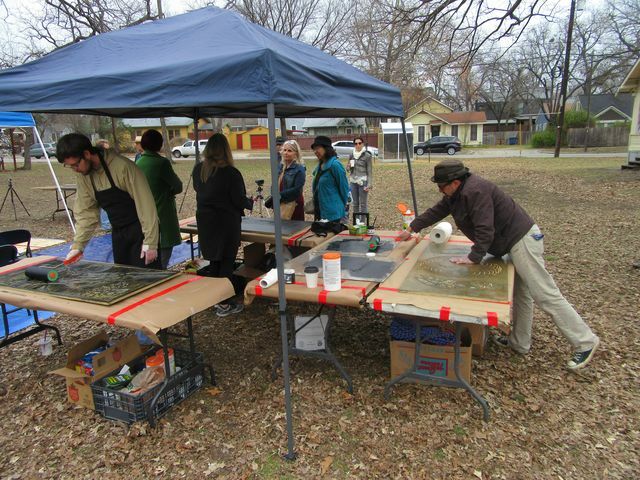 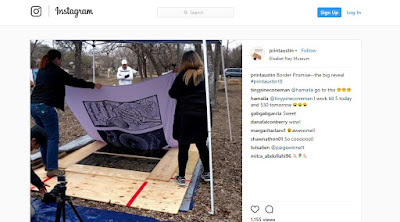 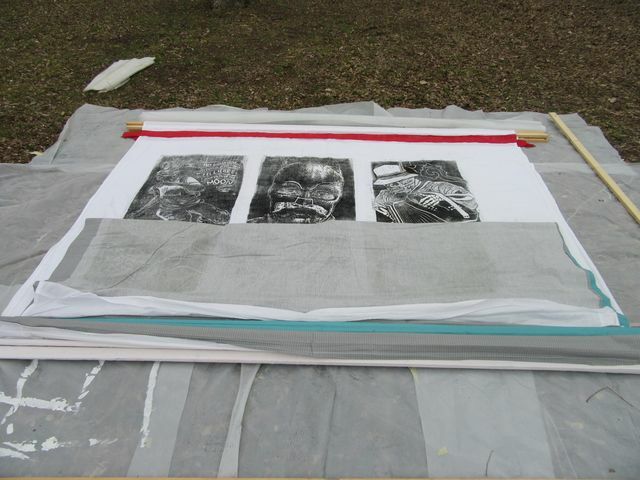 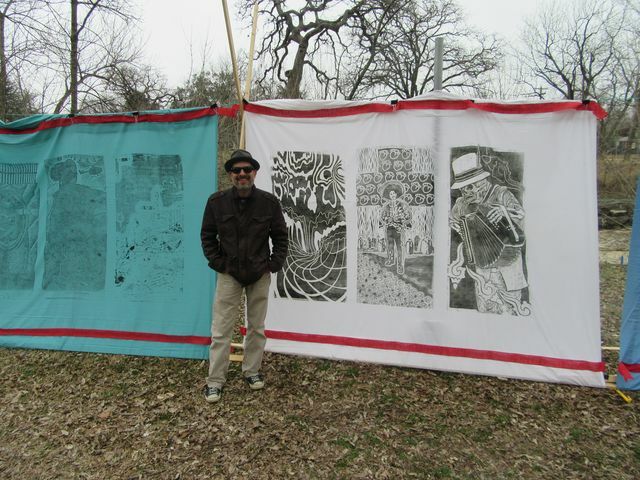 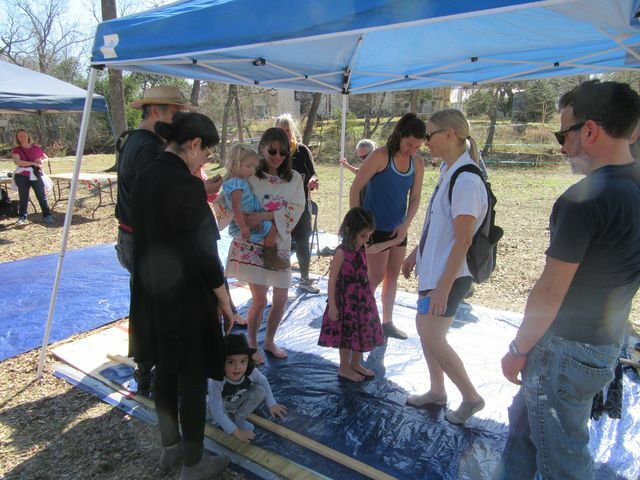 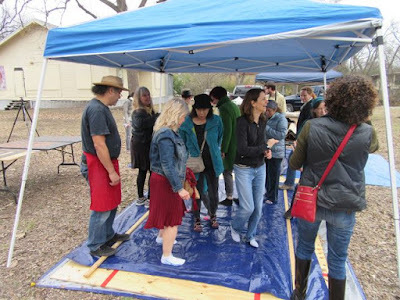 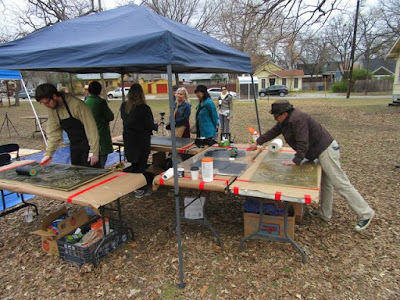 Some of the fabric prints done in El Paso were on display outside the Elisabet Ney Museum during the event. 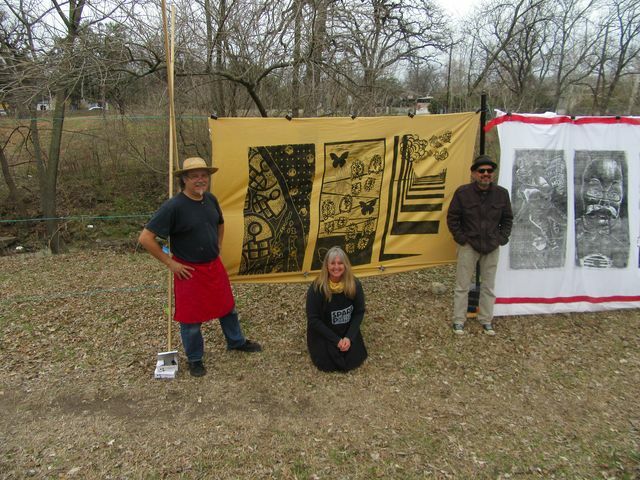 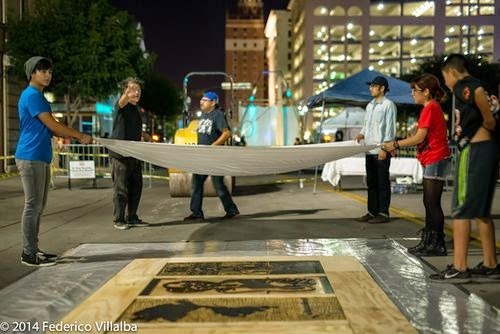 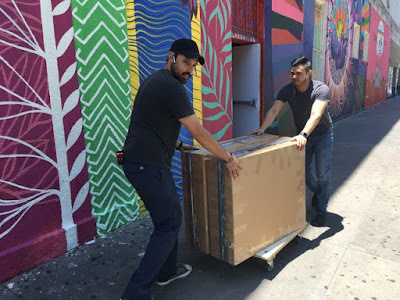 Not the last dance -- Luis Valderas, Kim Bishop, Paul Karam and Luis Garza plan to make even more large prints this way, and display them at the border. We hope to see them again in the future.